The dust is settling after the 2017 summer transfer season and what follows are some of the key numbers that paint a picture of what happened in the market. It has been another record-breaking transfer season, both in terms of total money spent as well as the highest ever fee paid for a footballer. In the top five European leagues (England, Spain, Germany, Italy and France), there was a total of 1687 deals worth €4.4bn. The transfer season highlight could very well be the record €222m fee paid by Paris Saint-Germain to Barcelona FC for the services of Brazilian winger Junior Neymar. 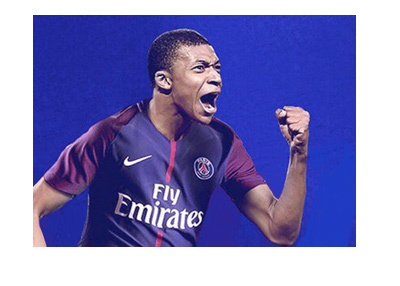 PSG heavily invested in their squad this summer as they also acquired (on loan with option to buy) the sought-after French international, Kylian Mbappe. It comes as no surprise that the Paris-based club had the highest net spend at €173m. AC Milan were also very much present in the transfer market, with their squad being strengthened to the tune of €162.5m. The highest profile player that joined the Rossoneri was Leonardo Bonucci, who arrived from Juventus for €42m. The English Premier League was the highest spending league with the two Manchester clubs, as usual, being very active. Here are some key numbers from the 2017 summer transfer market. That is all folks. We now move from the business side of things onto the football pitch. The 2017/18 promises to be a great season, followed by the 2018 World Cup in Russia.